Since the economy went bust, the UK’s housing market has been affected immensely and in turn this has caused a steep downturn in people being able to purchase new property or sell their existing properties. Because of this, many homeowners have opted to rejuvenate the homes they live in and there is no better way to enjoy or inject new life into your home than having an attractive, relaxing garden decking environment where you can entertain family and friends or just relax with a book and glass of wine. 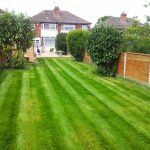 Garden decking Birmingham and garden decking Bromsgroveoffers many options and features – from turning your garden into the epicentre of your entertaining guests, to being able to have a barbeque and not being affected by the (constant) adverse UK weather conditions. It has become just as important for many of us to have the exterior of our homes looking as fantastic as our interiors. Having a nice dry, attractive decked area will not only allow you to improve your home’s exterior, but can also raise the value of your home significantly. Strim & Trim can offer our customers many different designs and layouts. We give our customers full control during the design phase of their bespoke decking area. You tell Strim & Trim what you want your garden to look like, what type of feel you hope to achieve and Strim & Trim take care of the rest. 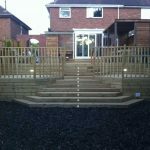 We can install lighting to illuminate and extenuate your garden decking area – becoming the envy of your neighbours! 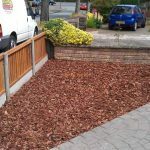 So if you live in Birmingham or Bromsgrove or anywhere near then garden decking Birmingham or garden decking Bromsgrovefrom Strim & Trim is the service for you! Whatever you imagine, we can create! Strim & Trim source only the finest quality wooden deck boards and wood for infrastructure – saving you money in the future. Timber decks can be used in the same way as paving – providing areas for tables and chairs on a firm base rather than on soft, (and in the UK most often) soggy, ground. They can be built almost anywhere in the garden as areas for play or relaxation. They can be in the sun or shade and be built on level or sloping ground. 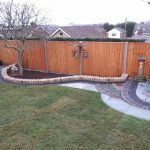 They can be built on one or more levels, can have pergolas for climbing plants all over or part of the top and can have balustrading added on one or more sides. The decking system offered by Strim & Trim is very flexible and can be used in many ways even being combined with traditional patio paving to create more unusual features. 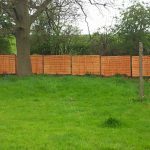 Our garden decking Birmingham and garden decking Bromsgrove service will provide you with a fabulous area to entertain and the ability to enjoy the beauty of your garden.